Manila Ninoy Aquino International Airport or NAIA (IATA: MNL, ICAO: RPLL), which is one of two airports serving the Metro Manila Area, is located between Pasay and Parañaque cities, 7 kilometers (4 miles) south from Manila and southwest of Makati City's Central Business District. The airport is under the property of Manila International Airport Authority (MIAA), which in turn is a branch of the Department of Transportation (DOTr). The airport is one of the busiest international airports, as in 2017 it served around 42 million passengers, which shows the growth in passengers flows in relation to the previous years by 5.96%. Additionally, in 2015 NAIA passed through over 460 tonnes of cargo. NAIA has two runways: the primary one 3,737 meters long and the secondary runway 2,367 meters long, known today as Villamor Air Base. Out of 550 planes that fly to NAIA, 100 of them take the secondary runway, as it mostly caters small planes and is the main runway of Terminal 4. Moreover, the new runway is planned to be added to the existing primary runway; it will be 2100 meters long and will increase the capacity of the airports from 40 to 60-70 planes per hour. However, some specialists still believe that the construction of the 3rd additional runway will affect the effectivity of the existing primary terminal in a negative way. At the moment NAIA is of two airports, together with Clark International Airport, which meets the requirements for the Airbus A380, providing the proper runway to land. The airport is also providing maintenance service (MRO) conducted by Lufthansa Technik Philippines. The airport serves as a hub for over 30 airlines, but mainly for Cebu Pacific, AirAsia Philippines, PAL Express, Philippine Airlines, and Cebgo. 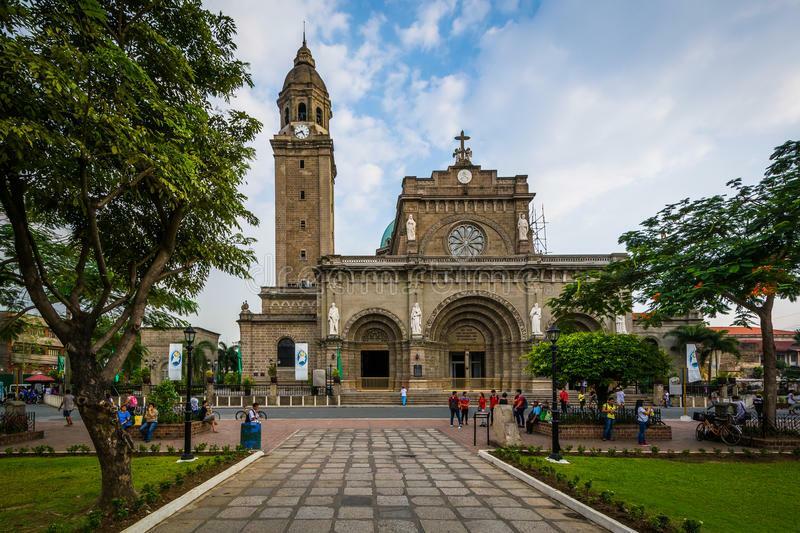 Manila is the political, commercial and ecclesiastical capital of the Philippines. June 24, 1571, is regarded as an official founding date of the city. Nowadays it is one of the oldest inhabited cities and the most densely populated one with 71,263 people per square kilometer. 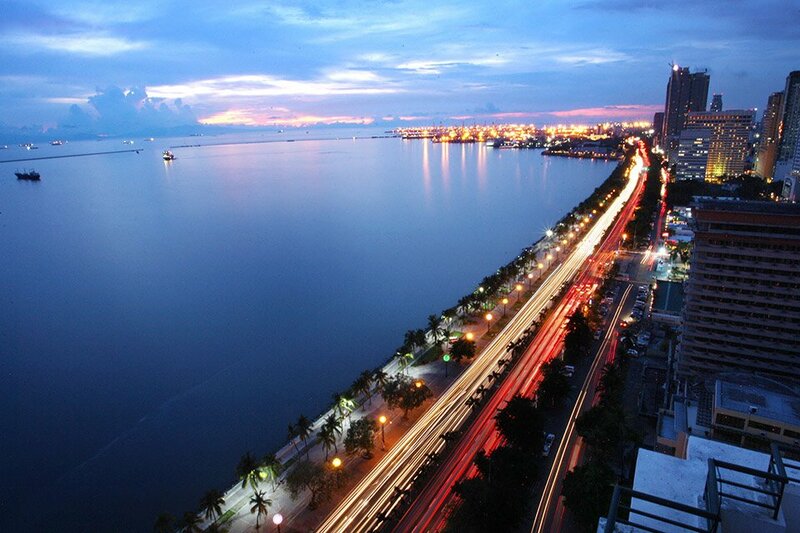 Manila is made up of 6 Congressional Districts. Being one of the wealthiest regions in Southeast Asia, the city has become home to over 1,780, 149 people in 2015. 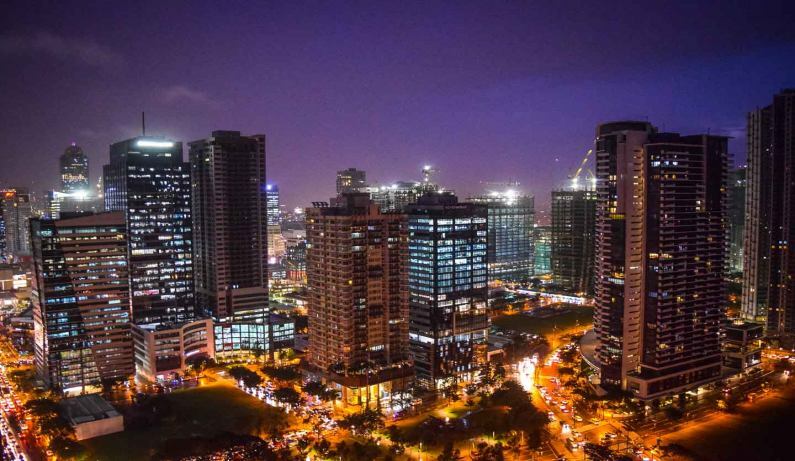 Manila is the primary business, banking, finance, media, and tourism center, nearly 60. 000 establishments are currently operating there. The Port of Manila, together with an airport, makes the city main international shipping gateway to the country. about 7 kilometers south of the Manila proper and southeast of Makati, one of the 16 cities that make up Metro Manila. The distance between the airport and the city downtown is around 16 kilometers and will take roughly 25 minutes to get from one site to another by car. NAIA provides high standard transfer service to its passengers. The one may indicate the date and time of boarding and indicated the place s/he wants to get to (hotel, any particular place, part of the city). The system itself will generate the proper mean of transportation and make sure that someone from the staff will meet him/her and get to the desired destination. 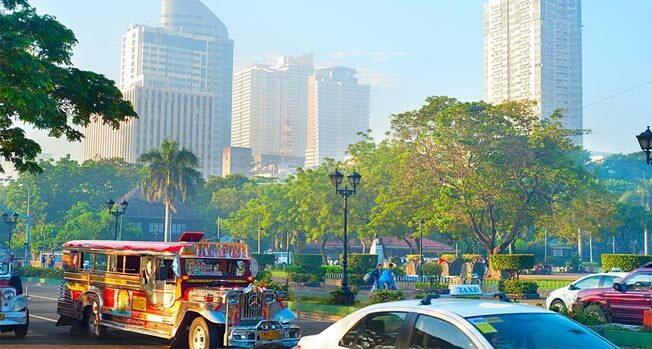 Moreover, that can be as a one-way transfer, so as the round transfer, meaning that the passengers will be picked up when arriving at Manila and carried to the Manila airport when leaving. For instance, the fee for the transfer by Sedan will be approximately $30, the car is intended to carry 3 persons with 3 bags/suitcases. The Minivan version will cost about $43, however, it is intended for around 14 persons and 6 bags. The Minibus version, with the capacity for 14 persons and 6 bags, will cost $73. Prices already include all fees and taxes. The service is available 24/7, however, shall be booked in advance for higher accuracy. Terminals 1, 2 and 3 offer passengers to take a look at the outlets of Duty-Free Philippines (DFP) which is state-owned retailer operation on the territory of an airport. The one may found DFP at both departure and arrival areas of terminals, moreover, Terminal 1 has the duty-free at the Greeting Area. Additionally, passengers and guests at the airport may find some over shops/retailers as Christian Ventures Bookstore, selling books, maps, travel guides at the Terminals 1, 2 and 4; Cora Jacobs, selling bags and accessories at the West Transit Lounge in Terminal 1; National Book Store, selling books mainly and located at the Domestic and International Wing of Terminal 3; Mixed Lifestyle, selling clothes, airport merchandise, and souvenirs, located at the Domestic Wing of Terminal 3; Preclaro’s Souvenirs, selling souvenirs and located at the Terminal 1, East Satellite; Tesoro’s Philippine Handicrafts that sells souvenirs at the Terminals 1 and 3. It is important to mention that while most of those stores accept US dollars and Pesos, some of them do not accept credit cards. In that case, the one may withdraw the money from the credit card from the ATMs located at the pre-departure area at all of the terminals of Manila Airport.